What is the difference between coins and tokens? What are (soft and hard) forks? Is cryptocurrency mining a waste of energy? What are stablecoins and how do they work? Whether you’re building a business or growing one you already have, giving customers the option to accept cryptocurrency may be a logical move. As cryptocurrency gains in adoption and popularity, consider taking advantage of accepting this new form of payment both for your benefit and your customer’s. There are tons of benefits to adopting cryptocurrency merchant payments. For starters, the fees are generally lower than credit card processing fees (1% versus 2.5-3.0%) and the transactions are processed much faster. Because crypto is designed to be peer-to-peer it cuts out the middleman so you do not have to wait several days for payment. Moreover, there are no bank charges nor overseas transaction fees or costs. Plus, you are receiving a rapidly appreciating asset for better long-term profits and you are not losing money on transactions made due to fraudulent use of stolen credit cards. By accepting payment in cryptocurrencies, you are also helping to promote and encourage the adoption of cryptocurrency in everyday use. Offering alternative payment methods also keeps you in front of the completion. The first step is to create a wallet. If you are at the stage where you are looking to include a cryptocurrency merchant gateway as part of your small business, or e-commerce model then the chances are you are already familiar with this process. If not, please check out our article discussing the various types of wallets. With a physical store, the checkout process uses a QR code which represents your wallet address. 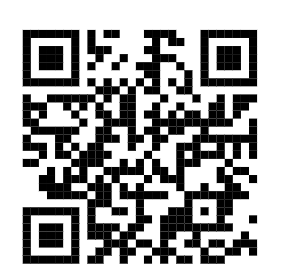 Customers scan this QR code to transfer the funds from their wallet — usually from a phone or tablet — to your wallet. Ease of use will depend on the currencies and systems being used. It can be as simple as touching phones. You may decide to invest in dedicated POS hardware, which is similar to something you might use with a credit card payment system. POS hardware also gives you the ability to create invoices and receipts. Coinbase Commerce which accepts Bitcoin, Bitcoin Cash, Ethereum and Litecoin payments. Merchants can register wtih an email address and a phone number and receive multiple cryptocurrencies into one user-controlled wallet. Bitpay accepts Bitcoin and Bitcoin Cash for a 1% fee. Moreover, the service connects to the Visa network and offers users a debit card that allows them to spend their cryptocurrency. Coingate accepts Bitcoin, Ethereum, Bitcoin Cash and over 50 other altcoins for a 1% processing fee. For mobile stores, the checkout process also uses a QR code representing your wallet address. Customers will scan this using their devices at check out. If you are a merchant using Square’s payment system, Square has integrated bitcoin payment. They use a midmarket calculation for the exchange rate for up to US$10,000 in BTC a week with no limit for sellers. If you are wondering how I do I go about accepting cryptocurrency on my website, Bitpay is considered one of the easiest to use cryptocurrency merchant gateway. You can link your Bitpay account to your bank account or cryptocurrency wallet as preferred. Bitpay can also integrate with Shopify and many other e-commerce plugins. There are ‘scan to pay’ options (QR) or ‘click to pay’ (URI) and invoices are displayed directly on your website. Want to let everyone know you accept crypto? Then be sure to display a Bitcoin payment button on your site. Use a payment button generator by filling in some details including your wallet address (please note never give anyone your PRIVATE address/key) and details of the item for sale. The button will automatically calculate the price of your product or service based on the current price of bitcoin. Simply embed the code provided into your website to show the exact live price to your customers. As cryptocurrency gains in adoption and popularity, more and more customers will expect that merchants will accept it. So don’t delay — get onboard the crypto payment train for your competitors do and ride off with your tech-savvy customers. There are already so many choices to choose from that I’m sure you’ll find a solution that’s right for you.